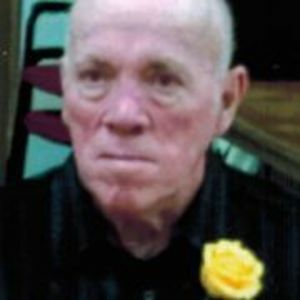 Ronald Randolph Hay, age 77 of Tampico, IL, died Tuesday, September 22, 2015 at CGH Medical Center in Sterling, IL. Ronald was born on October 4, 1937 in Yankton, South Dakota; the son of Robert and Mildred (McKinley) Hay. He is a United States Army Veteran. Ronald married Illa Mae Freas on September 5, 1964 in Sterling, IL. He was employed by North Western Steel and Wire for 38 years. Ronald was a member of the First United Methodist Church in Sterling, IL. Survivors include his wife, Illa; one daughter, Tina Berry (William L. Stage) of Tampico, IL; two sons, Terry (Dina) Hay in Rock Falls, IL and Tim (Cathy) Hay of Seaton, IL; two sisters, Judy (George) Huff of Rock Falls, IL and Dorothy Hay of Oregon, IL; five grandchildren; five great grandchildren and special family friend, Donna Martin. He was preceded in death by his parents; one sister, Nel Singshien; one brother, Robert Hay and one grandson in infancy. Visitation will be Saturday, September 26, 2015 from 2:00-3:00 P.M. at the McDonald Funeral Home in Rock Falls, 1002 12th Avenue. Funeral service will follow at 3:00 P.M. at the funeral home with Reverend Brad Wilson officiating. Burial with full military honors will be at Coloma Township Cemetery in Rock Falls. In lieu of flowers, memorials may be made to Broadway United Methodist Church in Sterling and the Sterling Moose Club. TAMPICO - Randolph Hay, 77, of Tampico, died Tuesday, Sept. 22, 2015, at CGH Medical Center, Sterling. Ronald was born Oct. 4, 1937, in Yankton, South Dakota, the son of Robert and Mildred (McKinley) Hay. He was an Army veteran. Ronald married Lila Mae Freas on Sept. 5, 1964, in Sterling. He was employed for 38 years by Northwestern Steel and Wire Co. He was a member of First United Methodist Church in Sterling. Survivors included his wife; one daughter, Tina (William L Stage) Berry of Tampico; two sons, Terry (Dina) Hay of Rock Falls and Tim (Cathy) Hay of Seaton; two sisters, Judy (George) Huff of Rock Falls and Dorothy Hay of Oregon; five grandchildren; five great-grandchildren; and special family friend, Donna Martin. He was preceded in death by his parents; one sister, Nel Singshien; one brother, Robert Hay; and one grandson in infancy. Visitation will be from 2 to 3 p.m. Saturday and the funeral at 3 p.m. Saturday at McDonald Funeral Home in Rock Falls, with the Rev. Brad Wilson officiating. Burial with full military honors will be at Coloma Township Cemetery in Rock Falls. In lieu of flowers, memorials may be directed to Broadway United Methodist Church in Sterling and Sterling Moose Family Center.